This isn’t to put across the life story of someone who has passed away recently. 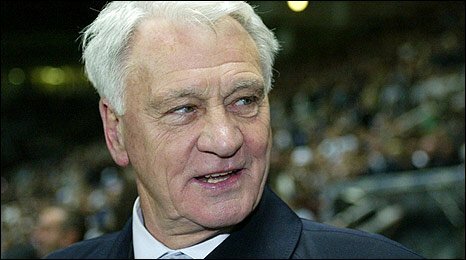 We all know Sir Bobby and even though we don’t know him personally we think we do. Occasionally the term legend can be over used, in this instance it doesn’t do the man justice. This is about my memories of a great man. I have many memories of him, as you will do but to just describe his career isn’t fair on him and it isn’t fair on you, as true sports fans you know what he achieved. I first truly encountered him at World Cup 1990 and as an impressionable 11 year old his persona has stayed with me ever since. I was hooked on his personality, his persona, kind nature and especially his unique man management skills. As everyone knows England suffered defeat on penalties to West Germany, but Bobby had made his way into the nations hearts. This was the first time I had truly encountered pain (even though Middlesbrough had reached a cup final earlier that season) and it was also the first time I was truly proud to be an Englishman (well boy). Everyone has many different long lasting memories of the man, his playing days, his short England playing career, the Ipswich successes. Mine were World Cup 1990 and his spell abroad when he truly showed his unique management style. He had spells at PSV Endhoven, Sporting Lisbon, FC Porto and the mighty Barcelona. I began to follow Barcelona because of Sir Bobby. His spells abroad included league success at PSV, European success at Barca and several successes in the Portuguese league. 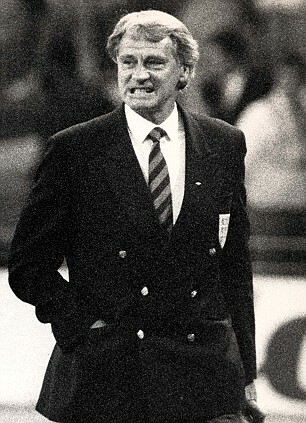 In later life he had the chance to manage Newcastle United and offer consultancy to the Republic of Ireland before having to retire from his sport due to illness. It is well known that Sir Bobby fought cancer on numerous occasions, but to have fought it FIVE times through the past 18 years. The man was a fighter and he went out fighting. Is his final years he sent up his own foundation to allow funds to be raised for the research and development of cures into this horrible disease. It is befitting that he died at home with his ever by his side wife, Lady Elsie and his close family at his bedside. His funeral will be private, which is befitting of the true gentleman he is. Unlike some modern day celebrities (Jade Goody) he fought until the end to raise funds for all and not for himself and his wishes for a private, non glossy magazine style funeral show the legacy this man leaves behind. It is a little known fact that in his days at FC Porto his interpreter was none other than one Jose Mourinho and he took Jose with him to Barcelona, this obviously sparked the career of another great manager. Thanks for all the great memories Bobby. May you rest in peace as you truly deserve.